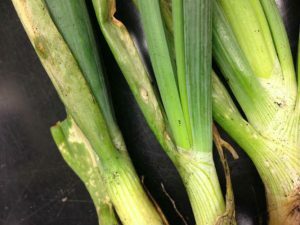 Onion anthracnose, also known as onion smudge, is a worldwide threat. 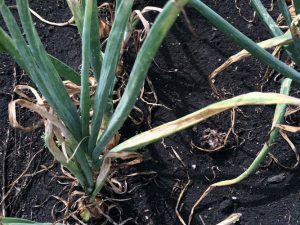 In the United States, this disease occurs primarily in the Northeast and Midwest regions with the first report of onion anthracnose in Ohio in 2013. 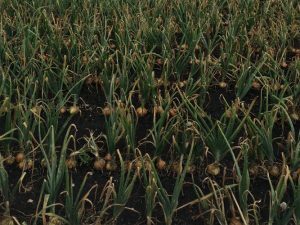 The disease is caused by three different Colletotrichum species. 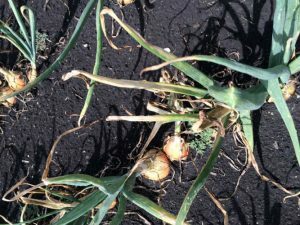 Anthracnose can infect dried scales, bulbs, and leaves of onion plants. 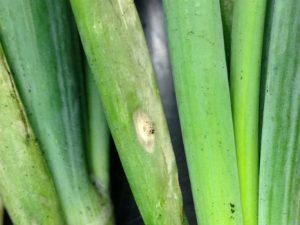 Lesions develop on the bulbs and leaves become very distorted and chlorotic. 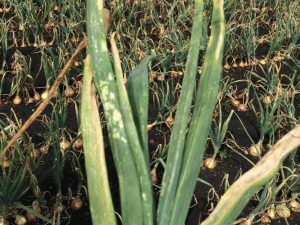 This disease can be managed with protectant fungicides and sound cultural practices.